Everybody loves a parade, especially Sushi Cat 2! The floats! The food! The music! The food! The games! And, of course, the food! But when Wife Cat gets lost midst the bustling crowd, Sushi Cat knows it won’t be easy to find his pink lady love amongst the cotton candy, parade balloons, and other squishy critters. But he’ll find her, even if it means eating all the shari, nori and neta in the county! 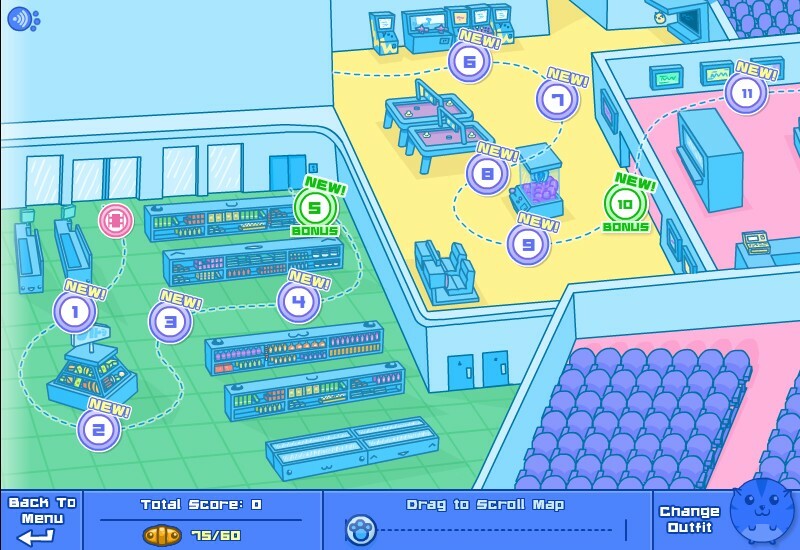 Sushi Cat 2: The Great Purrade is a new set of levels in Joey Betz’s popular pachinko arcade game series, and it will leave you. 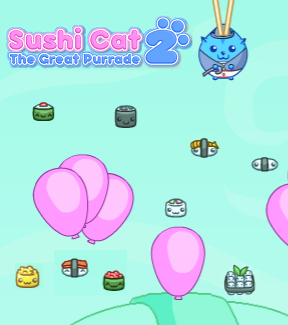 By what is surely the purest of coincidences, Sushi Cat 2: The Great Purrade timed its release to coincide with the upcoming debut of Sushi Cat Plushes offered in the Armor Games store. That said, the little bit of unsubtle shilling herein is easy to forgive since A. The game is another high-quality entry in a high-quality series and B. Those things are probably gonna be adorable. The parade setting makes for some inspired pachinko level designs, filled with balloons, performers, decorations and flags. Also, like always, the new power-ups are gloriously surreal, with the Whack-A-Sumo minigame being a oddly charming standout. (That said, while it would probably be disappointing if it didn’t make an appearance, we’ve probably hit the limit on the number of Nyan Cat cameos we’re going to tolerate in our casual gaming releases. C’mon guys. That thing is so 2011.) All in all, Sushi Cat 2: The Great Purrade is a pack of awesomeness that won’t need any wasabi to blow your mind.